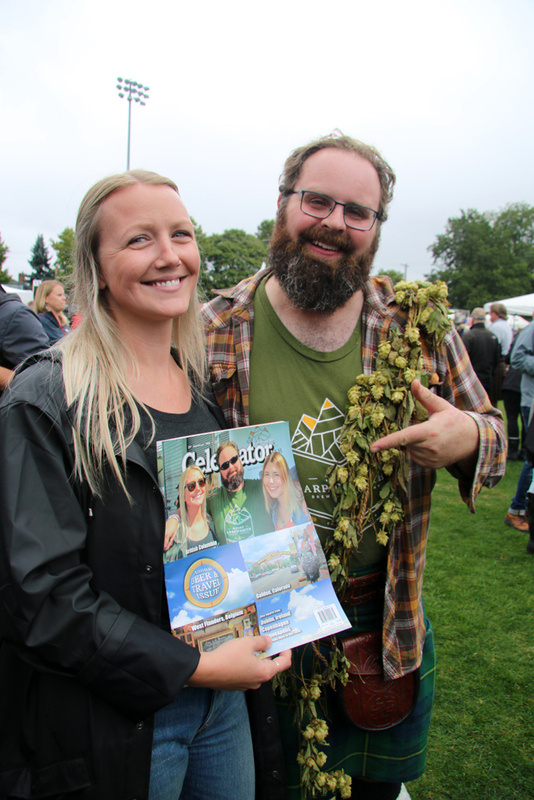 This year’s GCBF, started by some of the same lads that founded CAMRA Victoria a few years earlier, was a milestone in the evolution of beer appreciation in Western Canada. Twenty-five years ago, a few beer enthusiasts took it upon themselves to start a beer festival with little more than a hope to gather some good beer and some good-beer drinkers at the same place at the same time. It seems to have paid off rather handsomely. 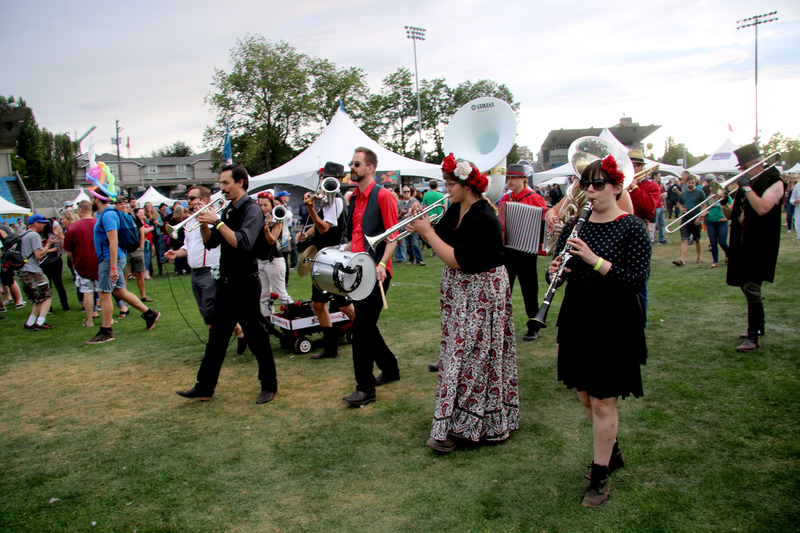 The 25th edition of this endeavor took place September 8–9 at the spacious and well-appointed Royal Athletic Park, not far from downtown Victoria, B.C. 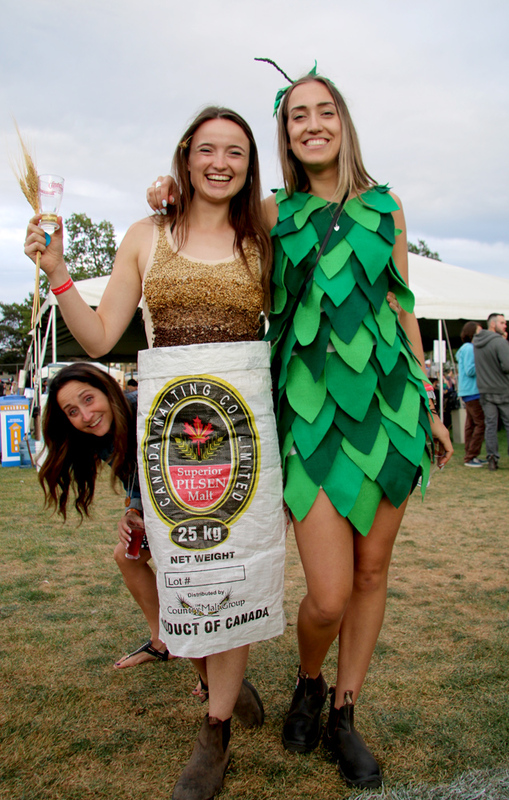 Whereas the first festival featured some 70 beers from 23 breweries (from Canada and the Pacific Northwest in the U.S.), the 25th incarnation was truly Canadian, with no bières sans frontières to be seen. All 66 breweries and both cideries were from provinces in Canada. 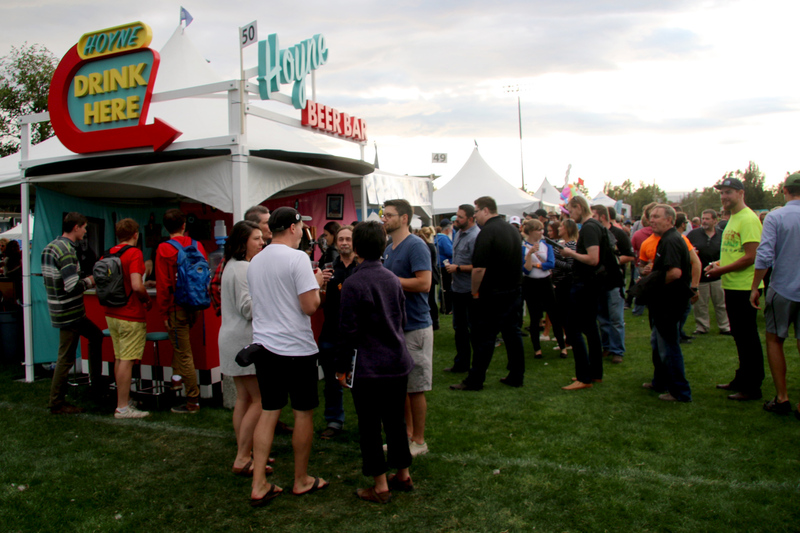 Over 260 different beers were on offer, and the demand to exhibit at the fest was so intense that an overflow tent was created where brewers who were unable to get a booth could at least offer up a beer on cask. This attraction, sponsored by Victoria’s best craft beer multitap, The Drake Eatery, proved to be quite popular, by the way. Kudos to owner Mike Spence and his crew from The Drake for their efforts. 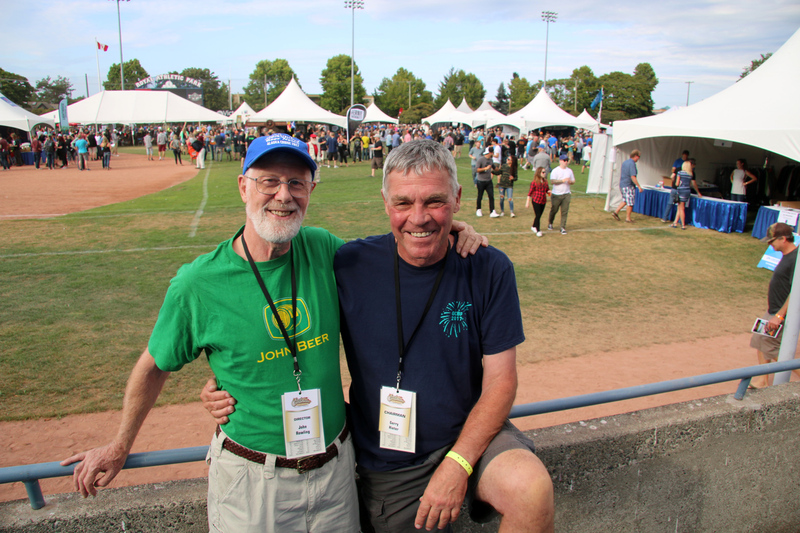 I was fortunate enough to have been invited to attend the 25th fest by the two surviving partners now in charge of the massive festival — Gerry Hieter and John Rowling, the latter a longtime writer for the Celebrator Beer News. I have attended this fest periodically over much of its history and can attest to its growth, not just in number of breweries, but in the quality of the beers and the amenities of the now spacious location. I was delighted to see that several breweries and a cider-maker that poured 25 years ago were in attendance for the 25th celebratory event. In the very early years, fest-goers were cramped into the Empress hotel’s Conference Centre. Getting around was challenging, and queueing for the limited WCs proved difficult at best. I was delighted to see that several breweries and a cider-maker that poured 25 years ago were in attendance for the 25th celebratory event at the far more spacious Royal Athletic Park: Spinnakers Brewpub, Swans Brewery, Vancouver Island Brewing, Granville Island Brewing and Merridale Ciderworks were all there for year one and every year since! The weather on Friday was splendid, but Saturday’s sold-out crowd was met with rain at the start. After a few hours, the sun was out and the savvy beer crowd seemed not the least bit indisposed. One improvement from the early years: The beers on offer at this festival were for the most part excellent, and some were world-class. The Celebrator’s longtime columnist Stephen Beaumont was in attendance, coming out from Toronto, and we had a chance to compare notes on a few beers. We both agreed that Four Winds Quadrennial, a four-year barrel-aged, dark, American-style sour ale conditioned on black currants, was outstanding and possibly one of the best beers of the fest. We also met up with Julie Nickels (who founded the Celebrator in 1988 with her then husband Bret Nickels), who is now living in Victoria with her husband, Lee, to compare notes on the beers at the fest. I was impressed by Phillips Brewing’s Electric Unicorn White IPA. The name alone was impressive. The Saturday cask offering was Phillips’s Hopocalypse Meow Anniversary Ale, my other Best of Show nominee. Other memorable beers included Four Winds Vélo, a hazy American pale ale conditioned with lemon juice and Himalayan salt (think thirst-quenching citric); Spinnakers Fresh Hopped Mitchell’s ESB on cask; Steamworks Flagship IPA from Vancouver; and Twin Sails Dad Jokes, a 100% Eldorado-hopped double IPA. Wow! I have attended this fest periodically over much of its history and can attest to its growth, not just in number of breweries, but in the quality of the beers and the amenities of the now spacious location. Longest line award had to go to Hathi Brewing from Abbotsford, B.C. Sadly, I didn’t have time to wait in line to find out what all the fuss was about. The brewery’s beers were provocatively named, including Mango Bango Hefeweizen, Coriander Pale Ale and India Session Ale. Pairing with Indian cuisine seemed the inspiration and thus compulsory. A selection of food trucks provided nosh while bands, various jugglers and the imaginative Buchan Buchan marching gypsy band entertained. After-festival hours were for the most part spent at The Drake Eatery, Victoria’s splendid multitap with over 30 well-chosen beers on offer. Beers from the Lower 48 (U.S.) were featured during the fest. Green Flash and Alpine did a mini-tap-takeover, but we were more interested in the Canadian beers that we couldn’t get back home. The Hoyne Helios Golden Lager was a stunning example of lager well done, Monsieur Beaumont and I agreed. Driftwood Naughty Hildegard ESB was just this side of an IPA and was another stunner. The Phillips Solaris White Peach Ale was soft and rich without overt peachiness. The Drake is in an old brick building (okay, everything in Victoria is old) with charmingly high ceilings and funky furniture, and the outdoor patio affords a quieter ambiance. Right across the street is the legendary Swans Hotel & Brewpub, and just up the street is the Canoe Brewpub. Victoria is chockablock with good-beer opportunities. My wife, Arlene, and I spent our last day in Victoria at Spinnakers Gastro Brewpub & Guesthouses, Canada’s first brewpub, which opened in 1984. It is on the water, across from the stately Empress hotel and Parliament Buildings. Our accommodations were splendid — so much so that we ordered dinner in and enjoyed our last day in beautiful Victoria in-suite. The next day we walked along the harbor trail below the pub, watching the seaplanes come and go to Seattle and up-island. We will be back, Victoria. Perhaps by seaplane.